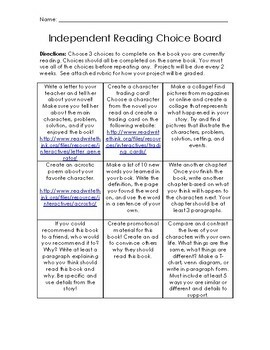 Use this independent reading choice board in place of a reading log to track what and how much your students are reading! Included are two options for the choice board. One includes links to resources online to help them format their work. The other doesn't include these. 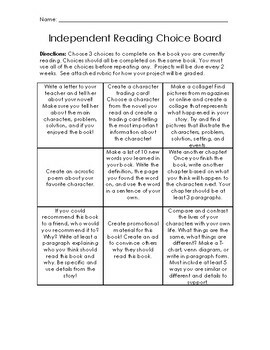 You could collect these each week or every other week depending on the amount of reading you expect your students to do!